Free Estimates on Home Improvement Projects! 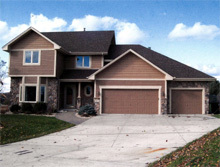 North Country Installers has the experience and knowledge to complete all types of home improvement projects. We have been in business since 1993 and have handled many projects with professional results over the years. Be sure to look around our website to view some of the projects we have completed for other customers just like you. Professional Web Design by Midwest Web Design, Inc.